Help reunite two families by making a tax-deductible donation here. Reuniting families is what we have done from the start of Bridges. The USA takes in these families, who have been through so much turmoil and hardship, and provide them a safe place to live their lives and the chance to become more than they might become in their home country. Sometimes it’s a matter of life and death. But it’s ALWAYS hard and involves deep sacrifice and faith. Earlier this year, we were approached separately by two families back East in need of help to get their teenage children out of their countries, Central African Republic and the Congo. Here’s the thing: we didn’t raise the money in time to get these kids here on our own BUT due to the urgency both families found a way to borrow money from friends on the condition that Bridges To America and its supporters would step up and pay back the loans. Well, it’s time to pay back the loans. These families are working on their own to pay back the lenders but we want to help lessen this burden and free these families to be able to focus on schooling and becoming productive, self-reliant members of the American society. 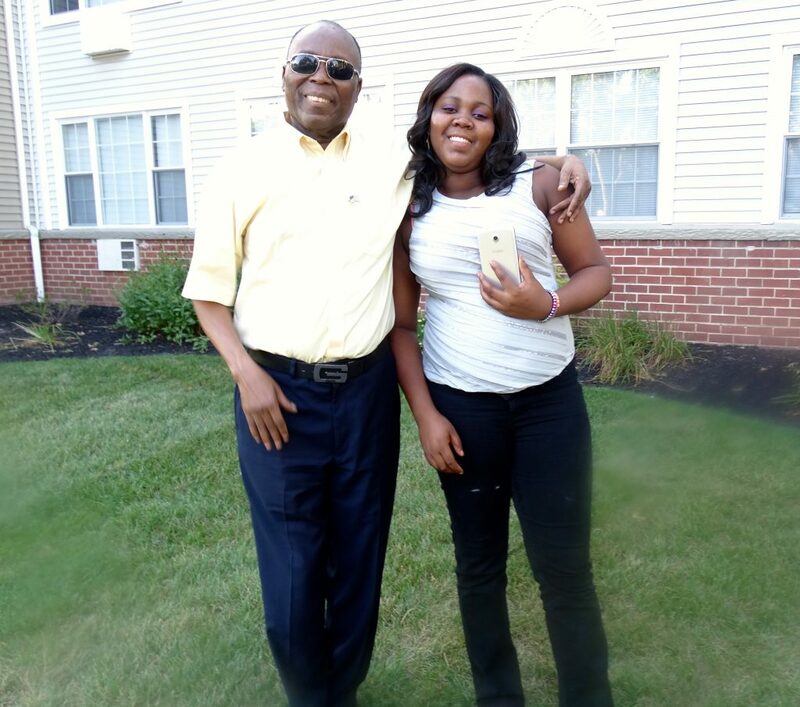 The urgency was high because her 18th birthday was fast approaching and if she could enter the USA prior to that birthday in August she would automatically become a US citizen and avoid the lengthy wait and high costs of applying for US citizenship. This family would have done it the legal way, as all of our clients do, but it was a blessing for them to be able to avoid that hassle and cost. Christelin and his beautiful daughter, Marveille, overjoyed to be reunited and looking forward to her bright future in the USA. I hate that we couldn’t do this on our own initially but the most important point is that Marveille made it here safely. Marveille’s other sister is still there and waiting her travel visa. It is a nerve-racking time for the family already and we feel compelled to lessen the added burden of paying back the friend who loaned the money. One note: Christelin is visually impaired and hasn’t been able to feel the touch of or hear the voice (except for via telephone occasionally) of his two daughters for 15 years! 1 down, 1 to go. 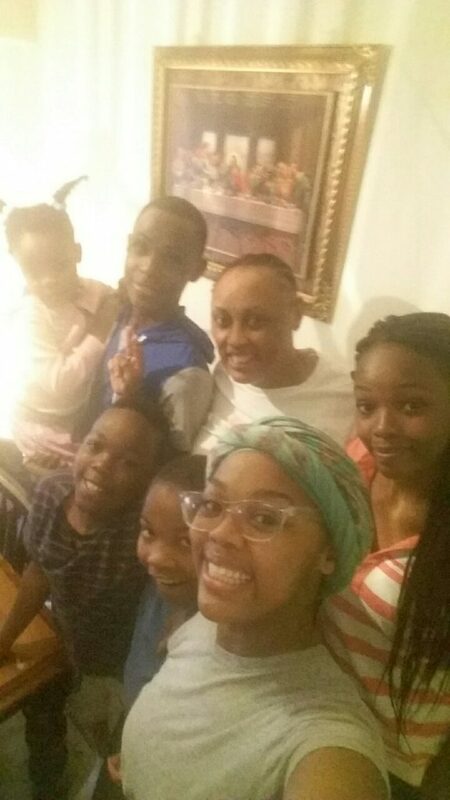 The other family we have been helping, but not enough yet, is a mother of 8 amazing kids from Cameroon living in Maryland. She had 4 kids that received their travel documents from Homeland and were able to make it here safely this summer. This woman works HARD and in fact, does not accept food stamps. I just talked with her tonight and the faith that gushes from this woman’s heart is inspiring and moving. What a great family full of faith and gratitude. Their hands are not out. They are up giving thanks. Please help us give them something else for which to be thankful…because they surely will be! Please help by going to paypal.me/bridgestoamerica and donating whatever you can to chip away at the debt these families took on for the best purpose ever: Family! We need to raise $3,000 still and every little bit truly helps.